On three different occasions in the last six months, I came across an object on display in a museum which was virtually identical to something I’ve got at home – having carefully hung onto it ever since I was at school. 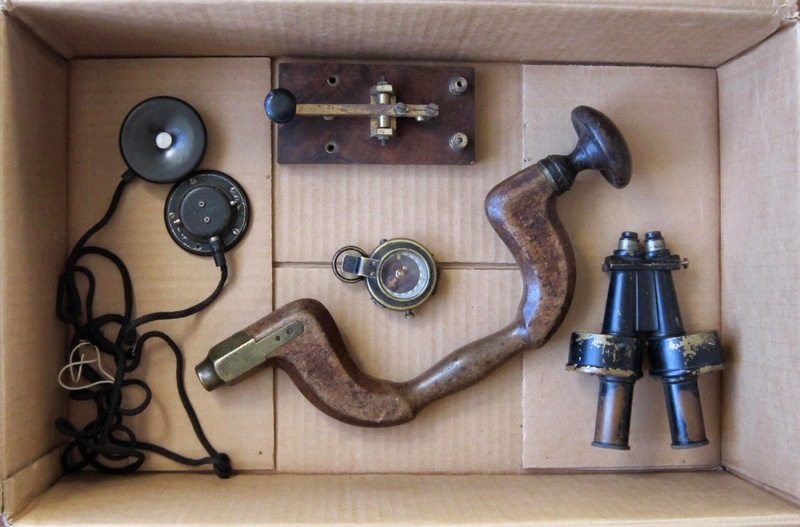 There’s nothing particularly Fortean about the items in question... but they’re definitely “retro”, so I thought I’d share them here. Probably the most interesting of the three objects was in the newly reopened Imperial War Museum in London. As you can see from the photograph, they’ve got the nose and cockpit section of a WW2-era Lancaster bomber on display. 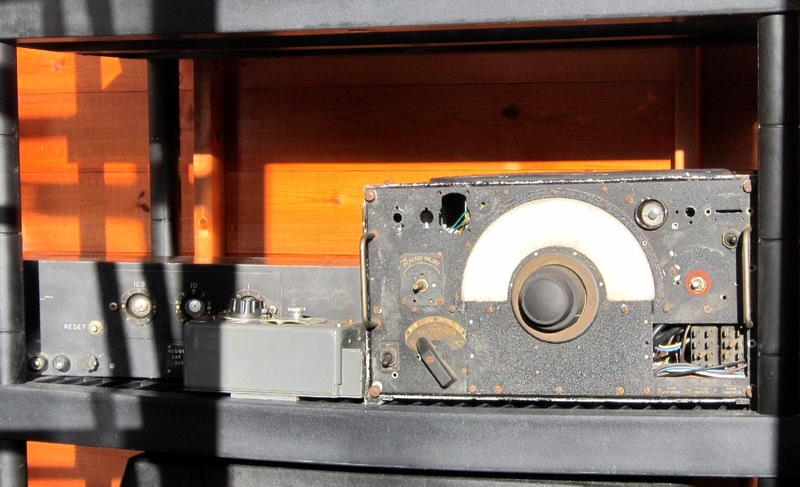 I haven’t got a Lancaster bomber in my garden shed – but the right-hand picture shows a close-up of the R1155 radio receiver in the cockpit, and I do have one of those. The third and last item is in the Science Museum in London. I first noticed it some time in the 1970s when I went there on a school trip, and it was still on show when I visited the museum this summer. 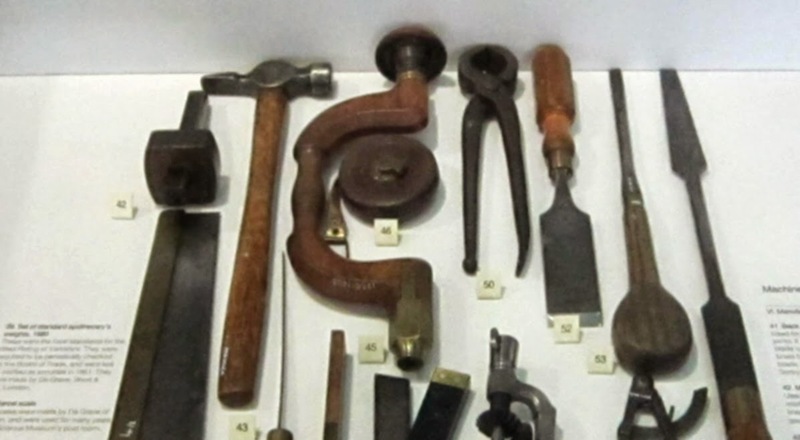 It’s part of a display of old tools – which isn’t a subject that greatly excited the teenage me, except that I recognized the wooden drill brace as being virtually identical to one in the toolshed at home. It was one of dozens of old tools that came with the house when my parents bought it (the previous owner went mad, and a lot of his stuff was left behind when they took him away). 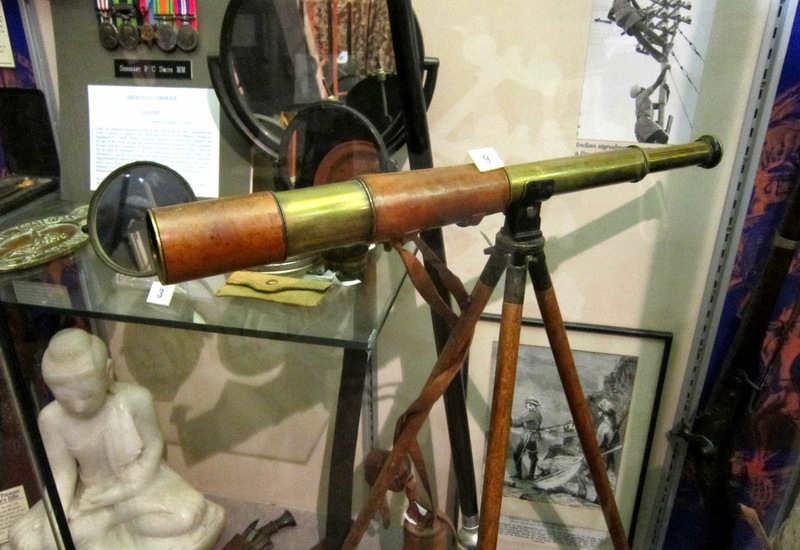 The telescope is a great possession to have and particularly when it comes with a family history. They can fetch £200-300 and more depending on condition and provenance. I'm really just dropping by to say I bought your 'Conspiracy History' book and have enjoyed it. I've only recently acquired the Kindle app and have begun to build a little library for dipping into. My father used to have a similar-looking drill brace. I wonder what happened to it? Could still be lying about somewhere, most likely out in the garden shed. Thanks very much for buying the book, Kandinsky, and I'm glad you enjoyed it. 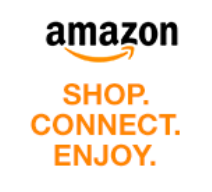 If you have a chance to post a quick review on Amazon, it will be very welcome! Thanks also for the info about the value of the telescope. 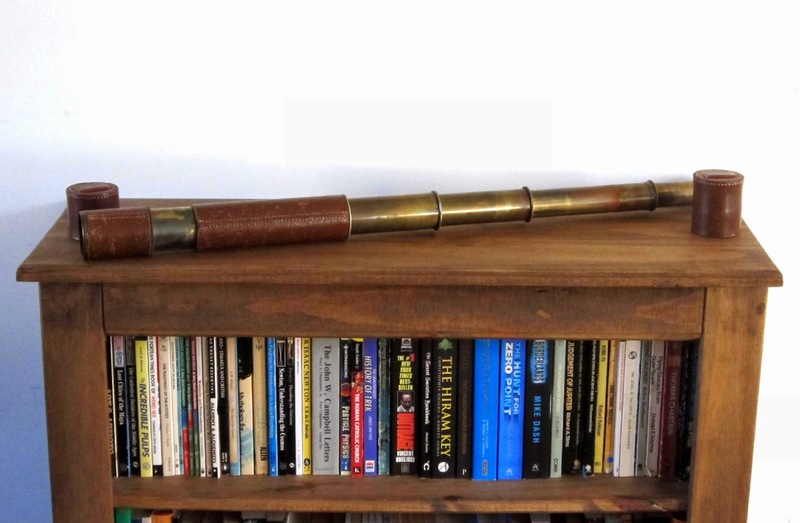 It's nice to know I could get a bit of money for it if I ever get desperate ... although I suspect that if someone made a modern-day replica from the same materials (brass and leather), to the same optical standard, it would probably retail for much the same price. It's good to see you back online, Kid. I wouldn't be surprised if a hundred years ago almost everyone in the country had a brace very much like this. But as with comics, most of them will have been thrown away long before now!